“I’ll miss it a lot too,” Wendy said. There was no point in her saying that it could go on now, the friendliness and the companionship and the simple human liking of one woman for another. Both knew that this breaking down of social barriers was just one of the things you got out of the war, but it couldn’t go on. 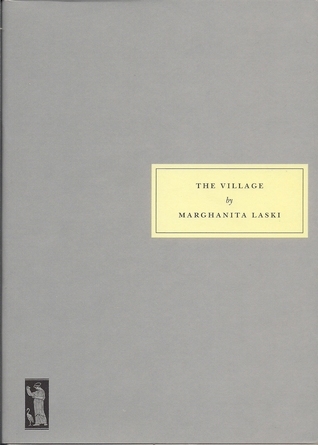 The Village, a 1952 novel by Marghanita Laski is the story of Priory Glen, an English village that, in the years after World War II, is both desperate for change and unwilling to adapt. Barriers between social classes and people’s firm ideas about proper behavior rub up against people’s dreams, which were perhaps fed by the temporary lowering of barriers during the war. Although The Village boasts a large cast of characters (the Persephone edition includes a four-page character list), most of the story focuses on the Trevor family. This respectable family has come upon hard times financially, and Wendy worries about their two daughters, especially the eldest, Margaret. Margaret is an adequate student, but her grades won’t get her into university, and the village is almost empty of appropriate men for her to marry. (Not that she’d have much luck attracting a husband, as plain as she is.) Her only talent appears to be cooking, and there’s no good way to make a living off that. Margaret is no more sure of her future than her mother is, but after a few chance encounters with Roy Wilson, son of Edith, she gets a pretty good idea of what she wants. But how to surmount those social barriers? The more Persephone titles I read, the more taken I become with their offerings. They’re pleasant stories about ordinary people, but there’s almost always a serious edge to them. The pleasure in this book was in the way it presented a clear picture of what must have been a liberating and bewildering time. In Priory Glen, so many barriers had come down, and people had been given a glimpse of what could be, but few people were willing to take any sort of step toward making those changes permanent. Every bit of common sense might say that it would be wonderful for impecunious Margaret to work as a cook to earn her family some money, but it wouldn’t be right, so she ends up in a job that bores her. Roy, her good friend since childhood, makes her feel comfortable and happy, but he’s not a proper choice for a beau. Far better for her to go out with the doctor’s son, even if he’s as bored with her as she is with him. If I were to register one complaint about this book, it would be that Laski is prone to dropping anvils to make her points when a more subtle approach would do just fine. However, this tendency didn’t end up bothering me much because I cared so much about the main characters’ fates. I wasn’t in much doubt about the way things would end up, but I was eager to see how the characters would get to where they were going–and indeed Laski threw a few surprises in along the way. I look forward to more excellent offerings from Persephone. I’m happy to have quite a few of their books on my shelf, ready for reading. I’d love to get my hands on this one. It’s worth keeping an eye out for! I read this a while back and found it a scathing indictment of the class system. And really well done. The compromise reached over the newlyweds is… well, monstrous. I was most impressed to think how close Laski was to the events she describes – class is one of those idealogical behemoths that can block the broader horizon, but she describes the time after the war brilliantly, when the upper middle classes did their best to reerect the barriers that war had broken down. I found it a very powerful novel. I don’t think the compromise bothered me as much as it did you, I’ve been pondering why that’s the case. I think that even though I felt sure they’d end up together, I was really worried that they’d end up ostracized within their community. What they ended up doing seemed to increase the odds that they’d be happy and not constantly reminded of the class differences. Of course, the fact that they even had to make such a choice is terrible. And yes, the fact that Laski was so close to the events gave it a real feeling of immediacy–and made the sometime lack of subtlety more excusable. The ridiculousness of these barriers was a point that needed to be made clearly and forcefully. I love the part your quote and really think this is one I’d enjoy. I haven’t read any Persephone titles, only because the budget doesn’t allow. But maybe I can track this one down. Great review. Thanks for bringing this one to my attention. I think I acquired about half of the Persephone titles I own by just putting heaps of them on my wishlists at Bookmooch and Paperback Swap, so you might try that if you use those sites. I am really looking forward to this one! I loved this book too – I read it several years ago – in a non Persephone edition. I have an old 1950’s hardback edition that I found in the Castle bookshop in Hay on Wye – but I would rather like to have the Persephone edition too – which would give me the perfect excuse to re-read it. I do love the Persephone editions. Besides being such good books, the size, the typeface, even the creamy color of the paper make the books perfectly produced as objects. I like the sound of this one and those grey covers always make me feel happy. I get the Persephone catalog but have yet to order one. I think about half of the ones I have were from book-swapping sites. I’ve only ordered a few from the catalog, and I bought a few when I was at the shop a few years ago. They’re beautiful books. This sounds fascinating! 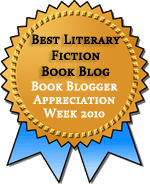 Laski is the Persephone author I most want to read from everything I’ve read about her on various blogs. Must get to ILLing one of these days! I think you’d like this a lot, Eva. It’s the only one of Laski’s books I’ve read (or own), but I’m going to look for more. I loved this book too, it’s one of my favorite Persephones and my favorite by Marghanita Laski so far (I have a copy of Love on the Supertax checked out but haven’t started it yet). I’ve been lucky enough to get a number of Persephone titles in early editions via ILL. This was one I read in an original edition but I’d love to own a dove-grey copy! Which of her others have you read? I’m thinking I’ll get another of her books if/when I decide to do another Persephone order (but I’m trying to wait until I finish the ones I have). I have also just recently discovered this author from reading blogging, but I haven’t come across any of her books yet. I’ve been hesitant to start ordering Persephones, knowing where it’s likely to end – but I’ll look at the sites you mentioned – thanks! I made do with Persephones from swap sites for a while, but visiting the shop put an end to that. But I’ve only ordered them when they’ve had a special offer. And now I’m holding off until I’ve read the ones I have!